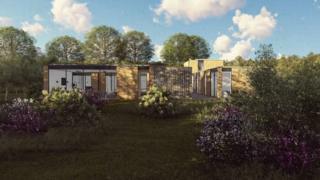 Plans to build a holiday home for sick children on the North Yorkshire coast in memory of Bradley Lowery have been approved. The young Sunderland supporter from Blackhall Colliery, County Durham, died aged six in July 2017 after having the cancer neuroblastoma. One of his last family holidays was to Scarborough and now the charity in his has permission to build a home there. The land for the home was donated by the borough council. Gemma Lowery, Bradley's mother and chief executive of the Bradley Lowery Foundation, said she was "absolutely delighted". "We were very lucky when Bradley was here; we got to make so many memories. I want to be able to give that back to other families, so that they can have somewhere to go to make memories with their poorly children too. "Scarborough was one of Bradley's favourite places. Building this home in Scarborough so that children and their families can enjoy quality time together would have made him very proud. "We'd like to thank the people of Scarborough and the council for the support they've shown us so far." Ms Lowery said the charity was now continuing its fundraising and was looking for builders and tradespeople to help "deliver this lasting legacy for Bradley". Bradley, who was a mascot for his beloved Sunderland, made global headlines before he died and became "best friends" with then Sunderland striker Jermain Defoe.